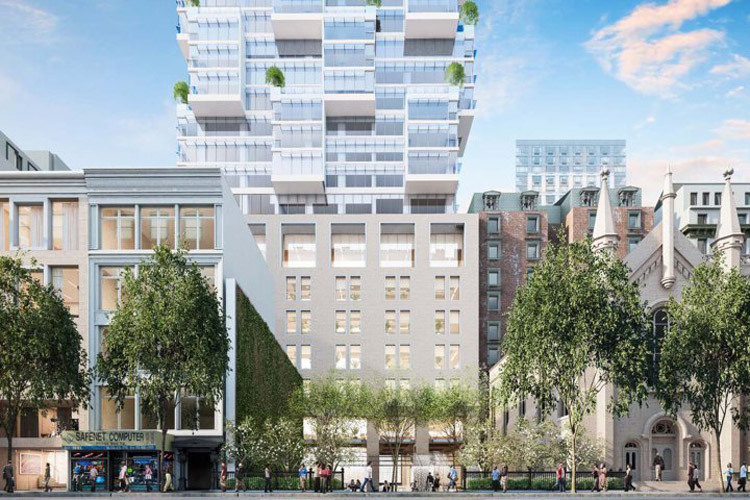 Moshe Safdie will design a 64 story, 800 foot tall—wait for it—luxury condo complex at 8–16 West 30th Street, between Broadway and Fifth Avenue. The three-story-tall boxy extrusions on the tower’s upper stories expand the interior space while shielding the south face from excessive sun exposure. The tower’s irregular silhouette strikes a contrast with the subdued base. That podium will be fronted with limestone, a nod to Marble Collegiate Church, the skyscraper’s landmarked 19th century neighbor. To round out the ground condition, HM White will design an adjacent plaza on 29th Street. New York–based HFZ Capital is financing the project. 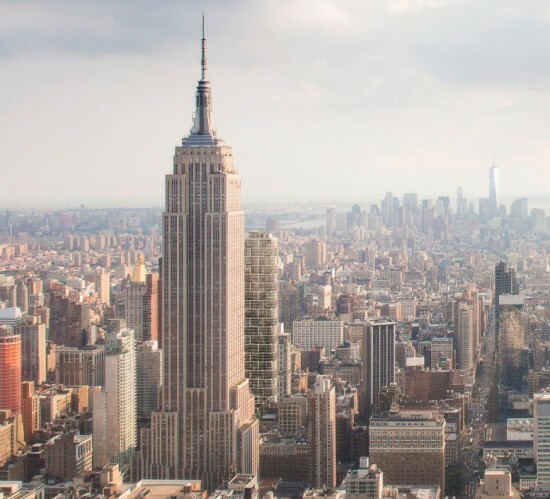 Because of Marble Collegiate’s protected status, HFZ Capital must wait on the city’s Landmarks Preservation Commission to approve plans before construction can begin.